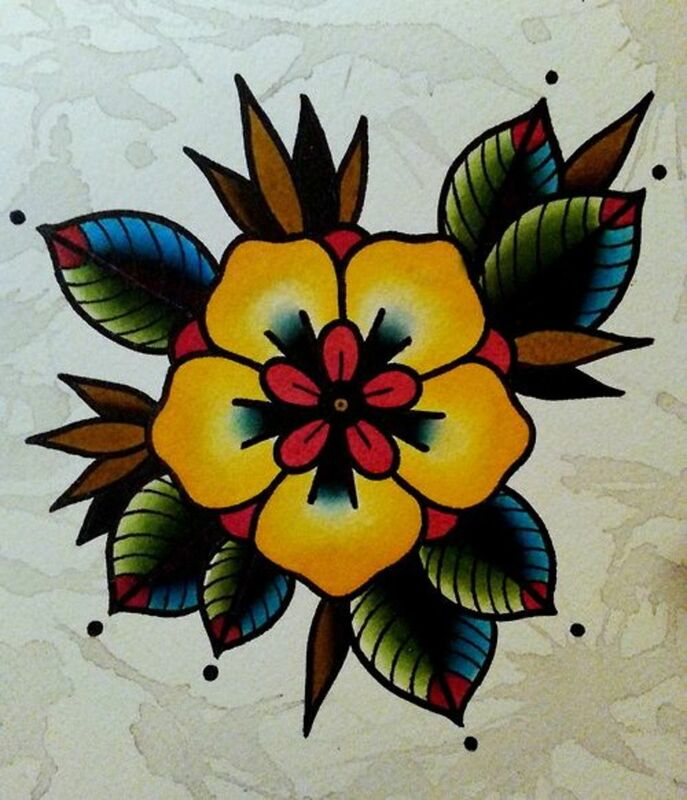 Whether it's your first tattoo or an addition to your collection, a flower tattoo is simply lovely! There are many flowers, styles, sizes, and placements to consider; the decision can be overwhelming. 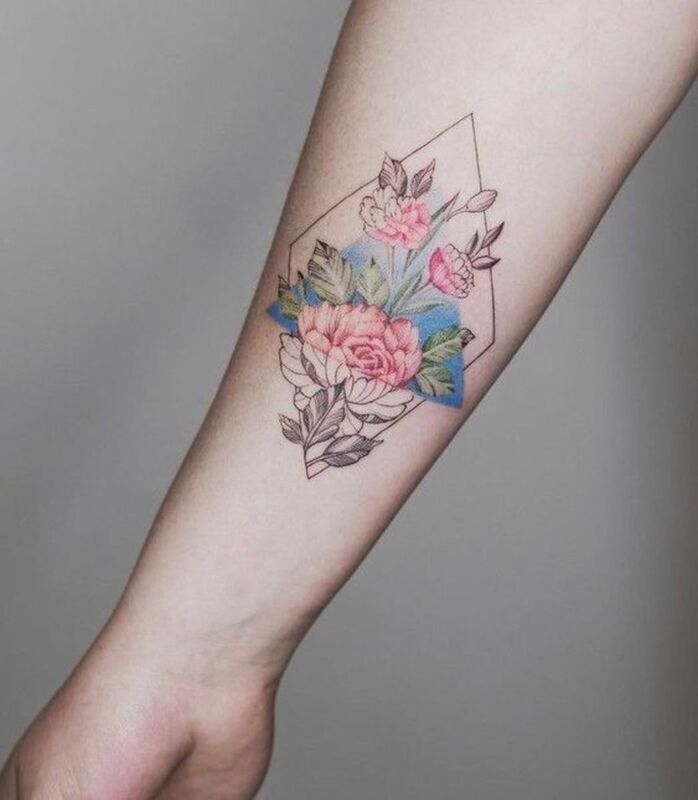 Due to the delicacy, vitality, and grace that flowers represent and the strong portrayal of femininity and charm, flower tattoos are often chosen by women. 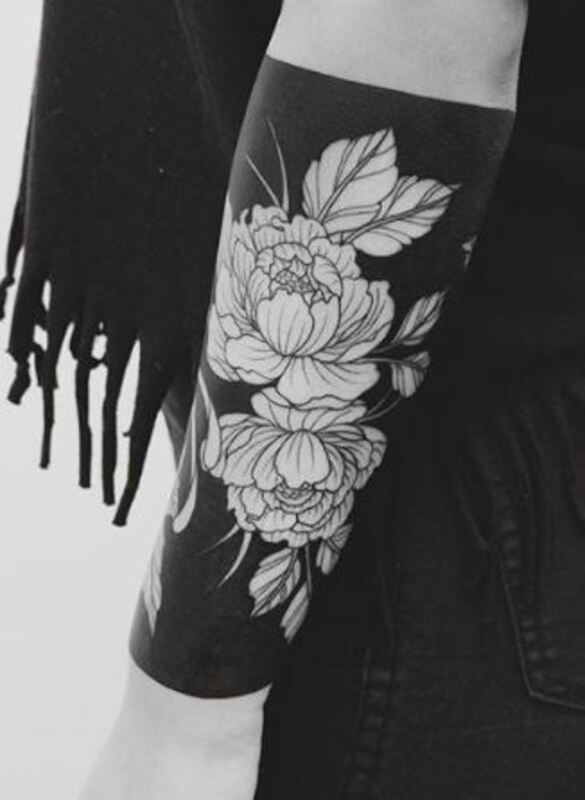 But, flower tattoos have a long, intricate history and beautiful meanings that make them an excellent, traditional option for men as well. 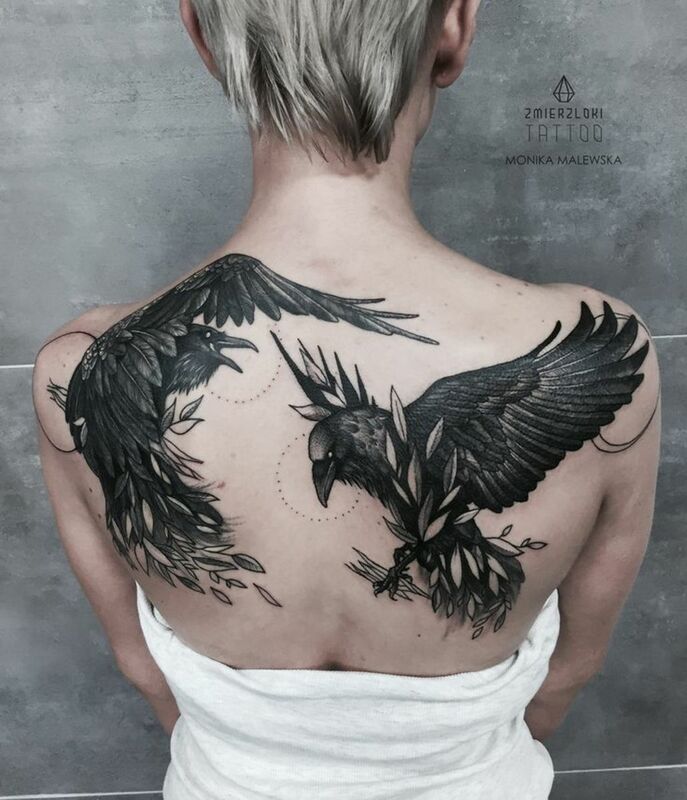 While many people get tattoos simply for the beauty of the art itself, tattoos carry a lot of meaning in different cultures. 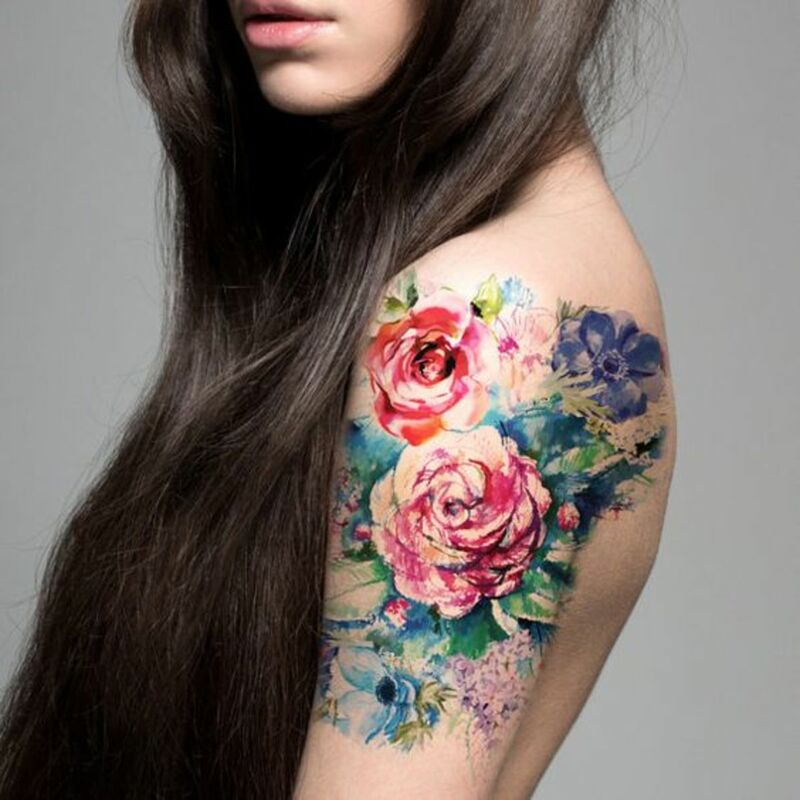 Flower tattoos are no exception. 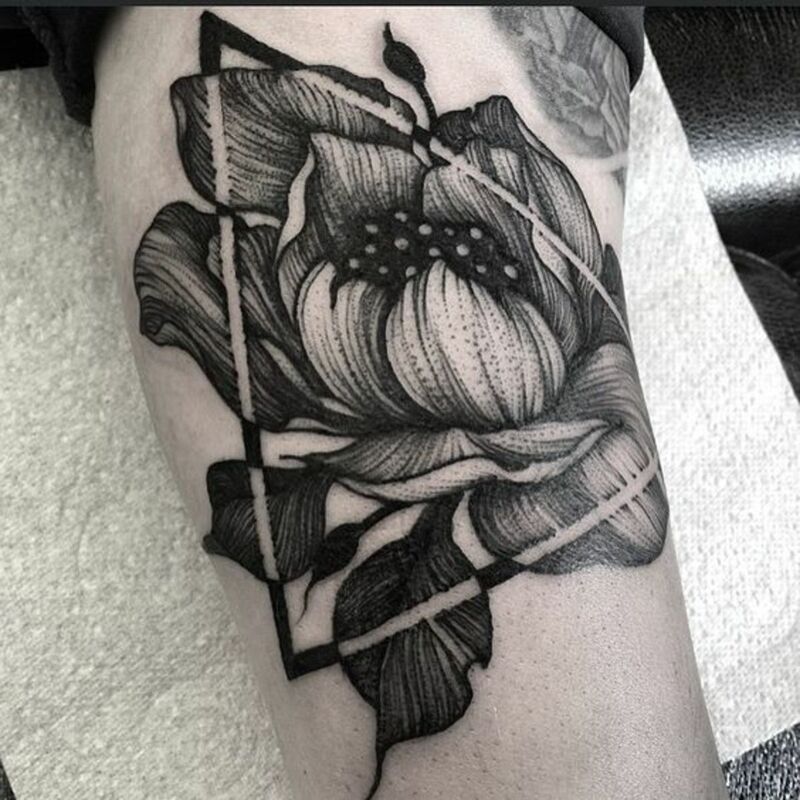 For example, the lotus flower is often associated with life, knowledge, enlightenment, and understanding. 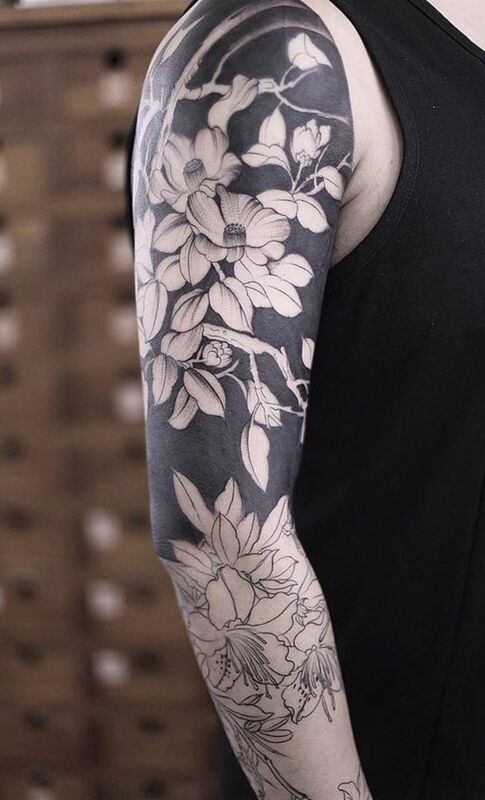 Cherry blossom tattoos are closely associated with the Japanese culture in which they represent the beauty and fragility of life. 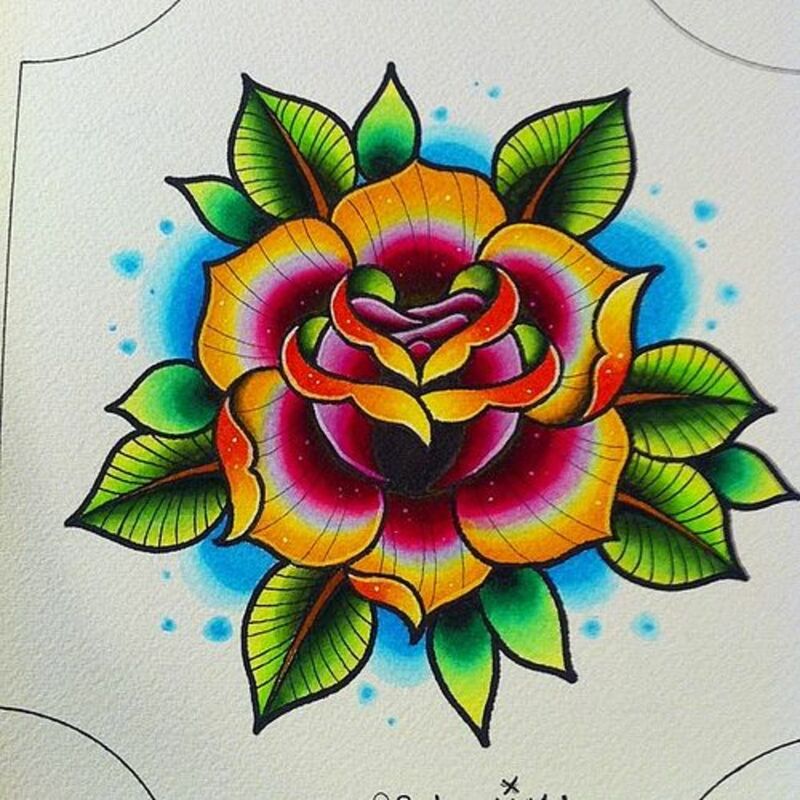 Rose tattoos have a long history in the American tattoo culture. They are often associated with beauty, love, and hope. 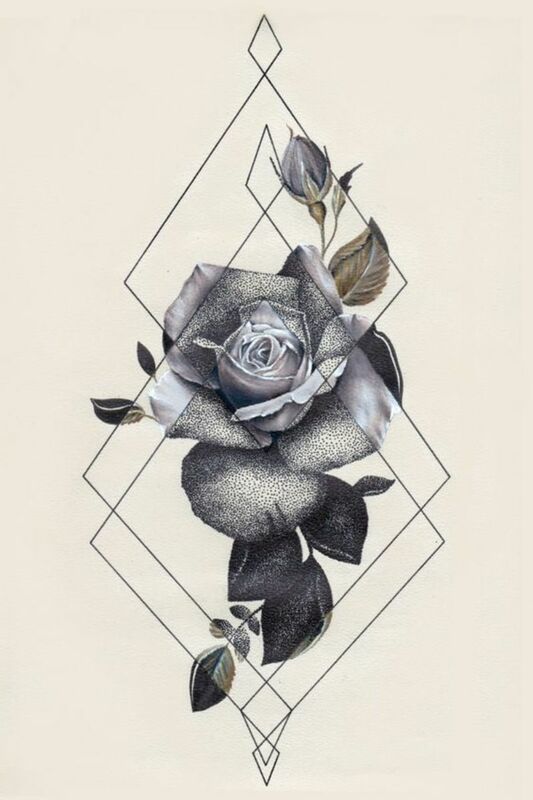 Adding thorns to the rose can have the opposite effect and portray a message of loss or hopelessness. 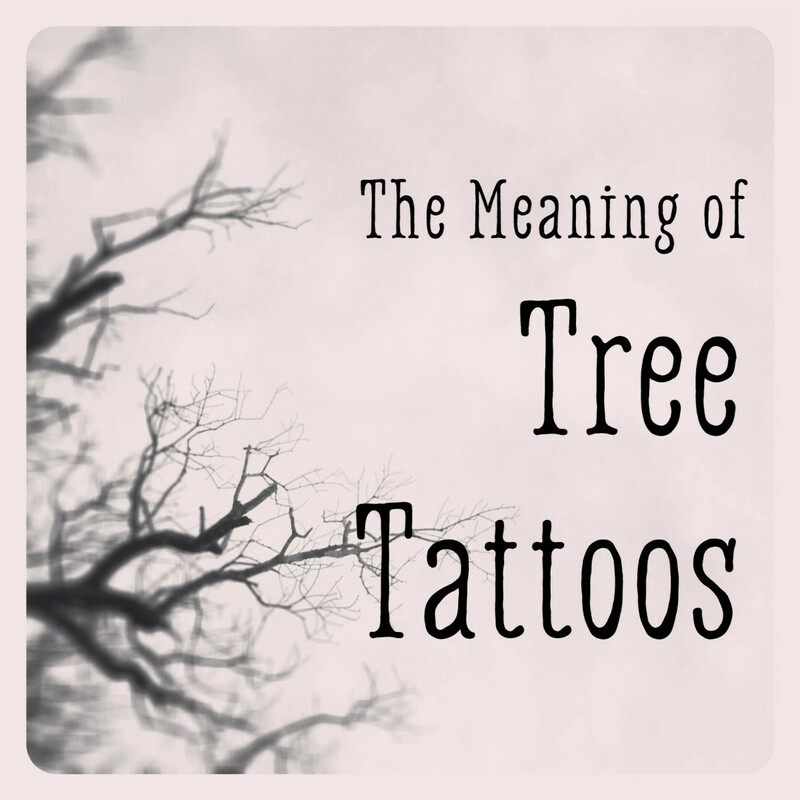 Knowing the meaning that your tattoo carries is important. Art is lovely to behold, but the message is what captivates the soul. Big, bold, beautiful. 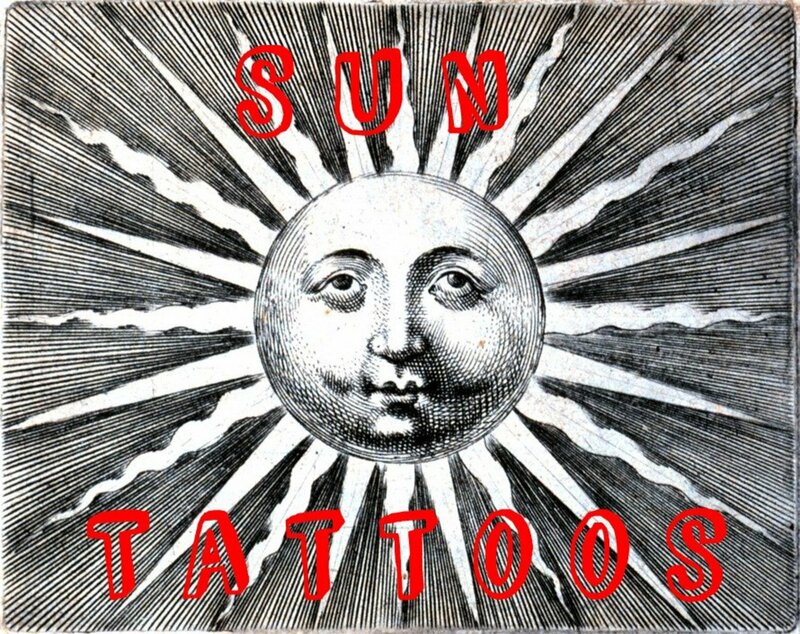 Traditional tattoos are made to stand the test of time! Light colors and delicate lines will fade and become crowded in old age, but bold lines and bright, deep colors are made to last! 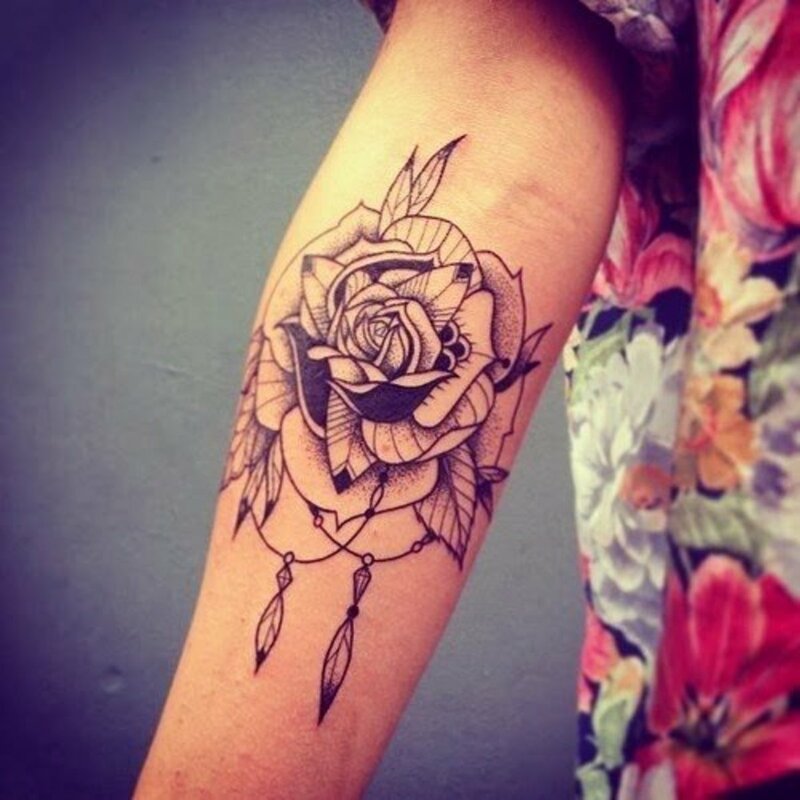 The most common of the traditional flower tattoos is, of course, the rose. 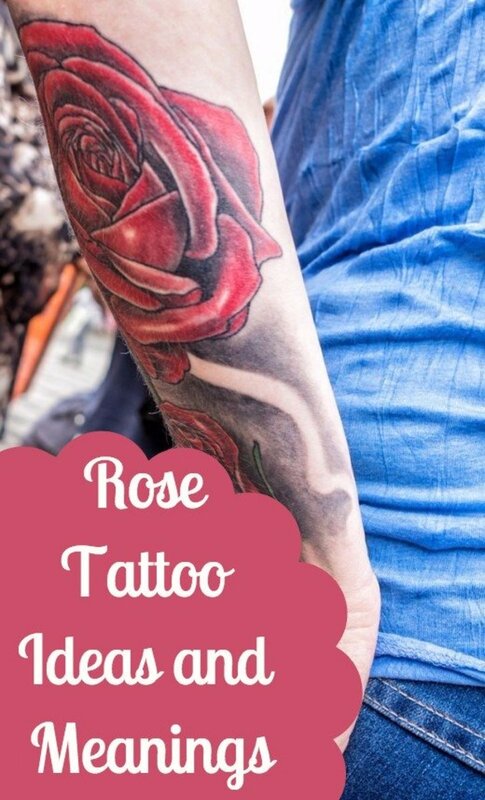 During the 1930s, sailors would often get a rose tattoo to remind them of a special lady back home. 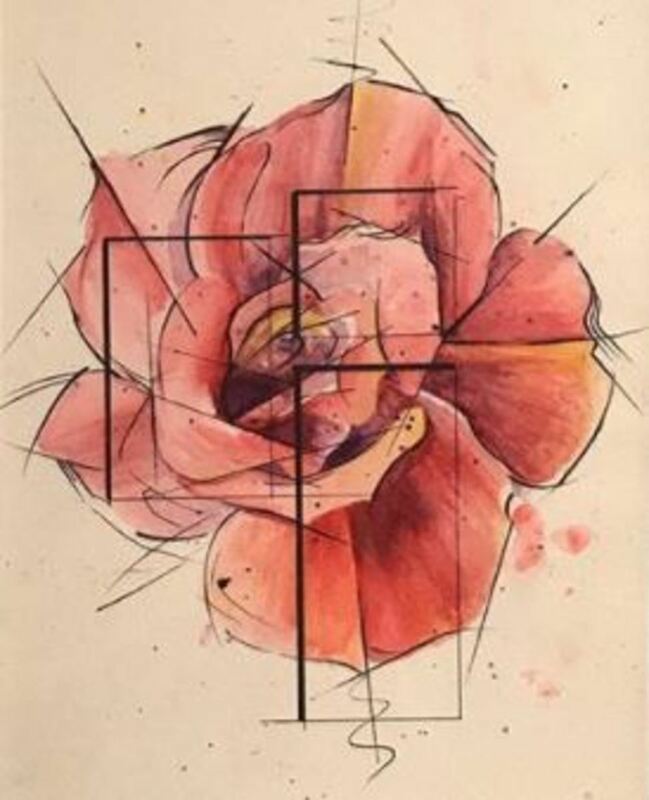 This is why the rose became a symbol of love or hope. 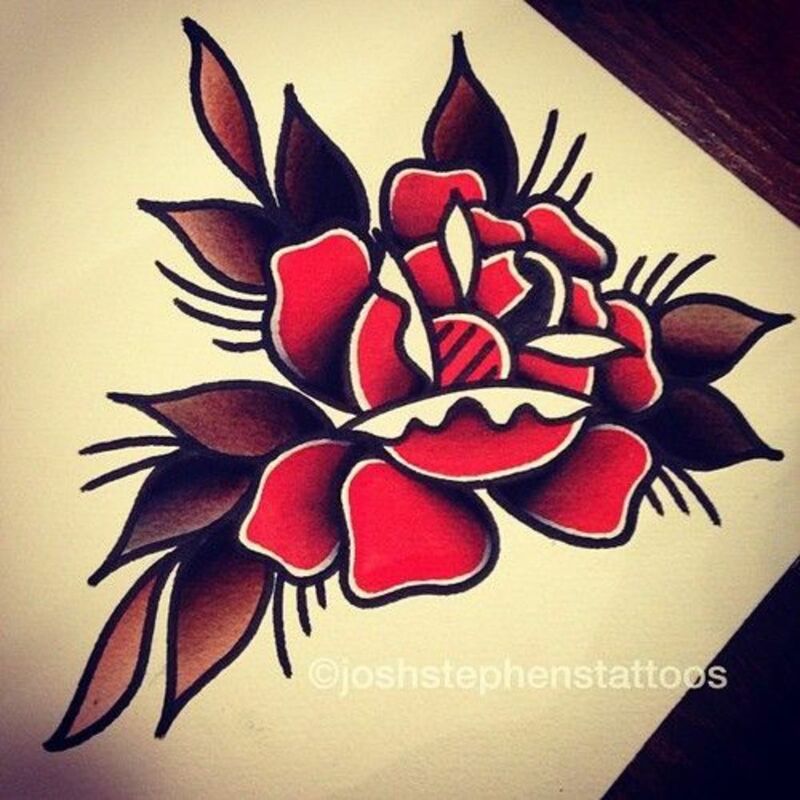 In the decades to follow, the general public began to get inked with a bright, bold rose. Often, a name was added to truly commemorate a wife, girlfriend, or mother. 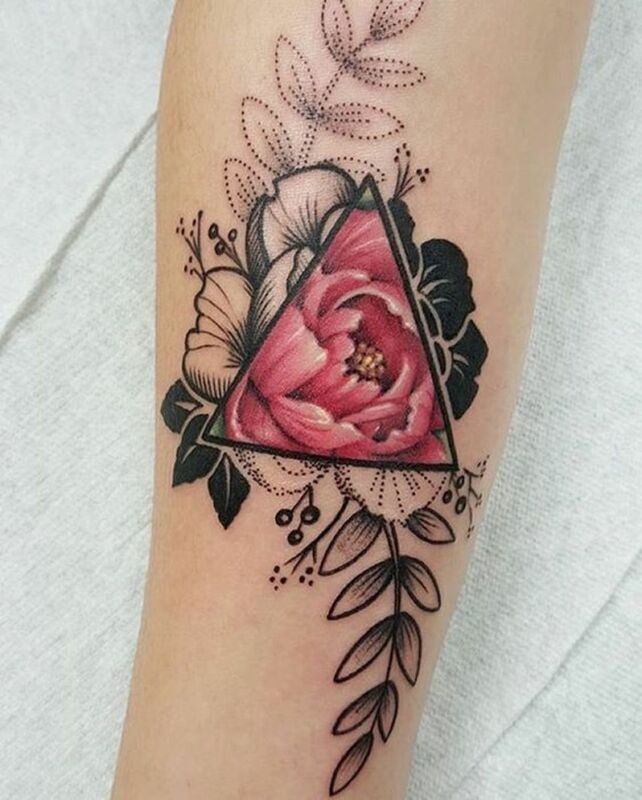 Geometric designs are gaining traction in the tattoo community. 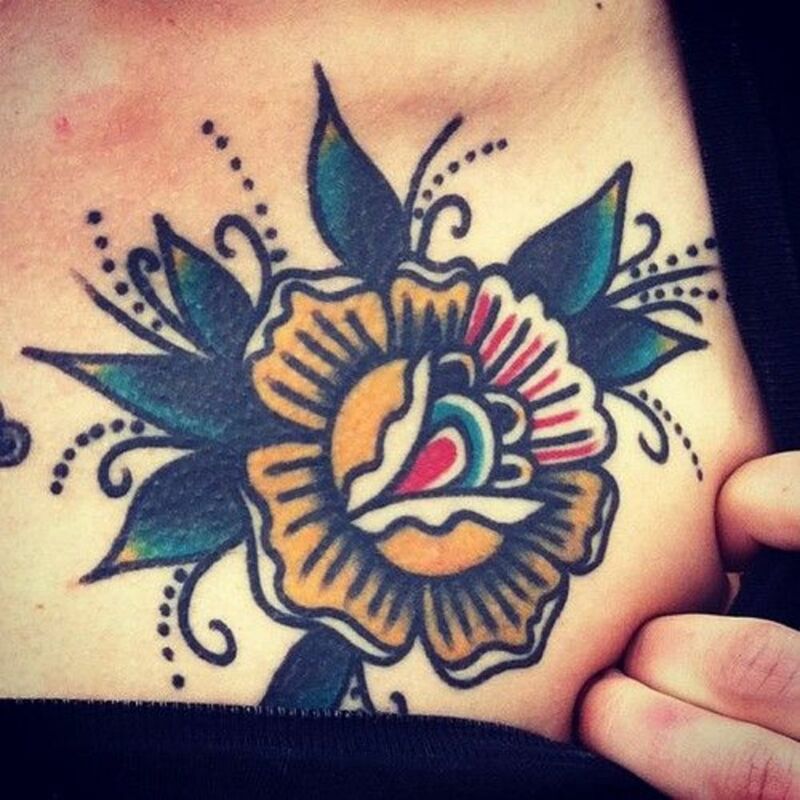 With a few simple tweaks and a well-placed line, a simple flower tattoo become extraordinary! It's hard to believe that such an explosive trend actually derives from a rich and spiritual past. These designs have been around since ancient times and incorporate symbols and shapes that are based in nature. Other geometric designs are based in religion. 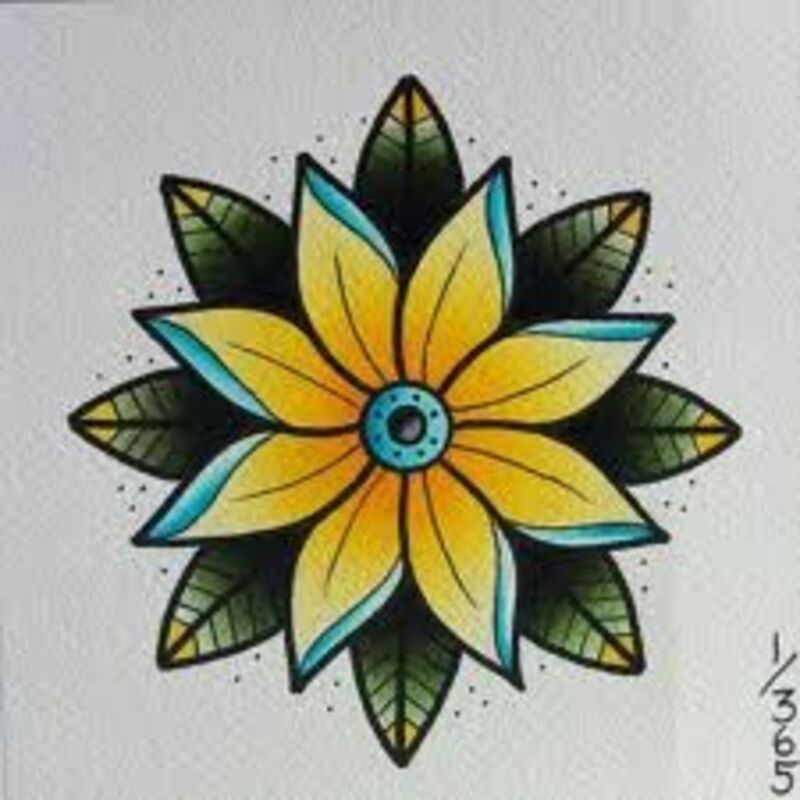 For instance, the popular Mandala is rooted in Hindu and Buddhist traditions and represent a perfect balance of harmony and unity. Shapes such as a cubes are meant to represent stability and the element of earth. A tetrahedron is often associated with fire while an icosahedron is connected to water and "going with the flow." 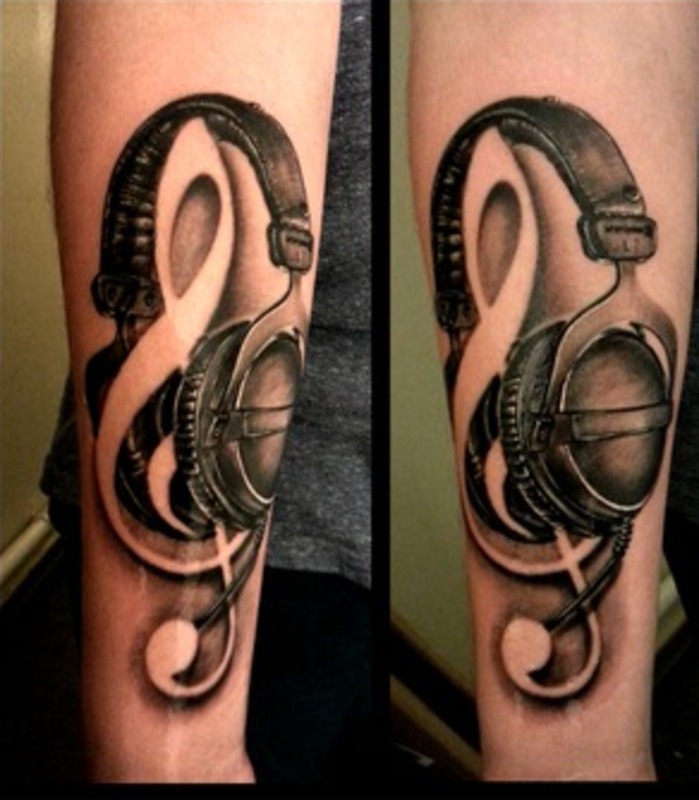 This tattoo may seem rather bold, but your could always change it's placement for a more subtle effect. 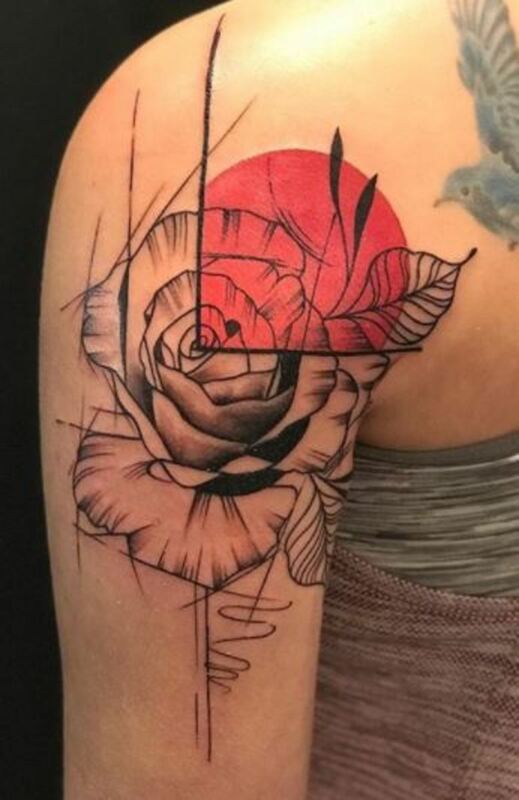 When selecting your first tattoo, you may feel more comfortable with a back or thigh tat rather than an upfront lower arm tattoo. 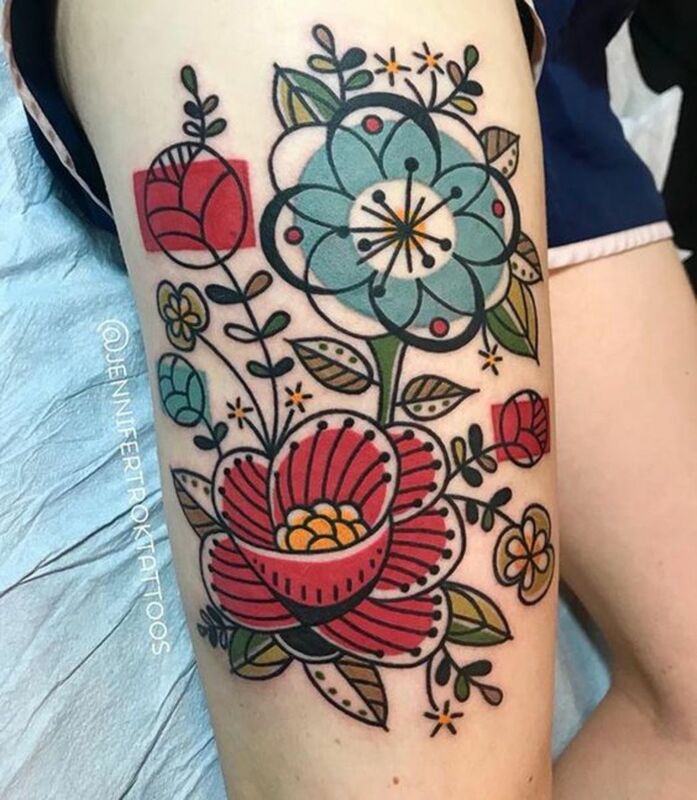 While black and grey always looks stunning and will stand the test of time, color is such a terrific addition to a botanical tattoo! Especially with this fun design! 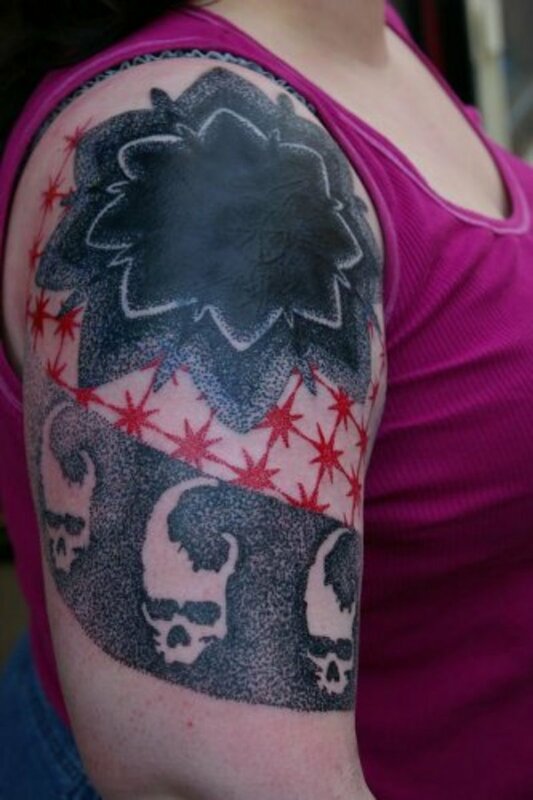 Keep in mind, that color may need to be touched up over time. Having pale skin is the best for color! If you don't want all over color, play with some more design options! 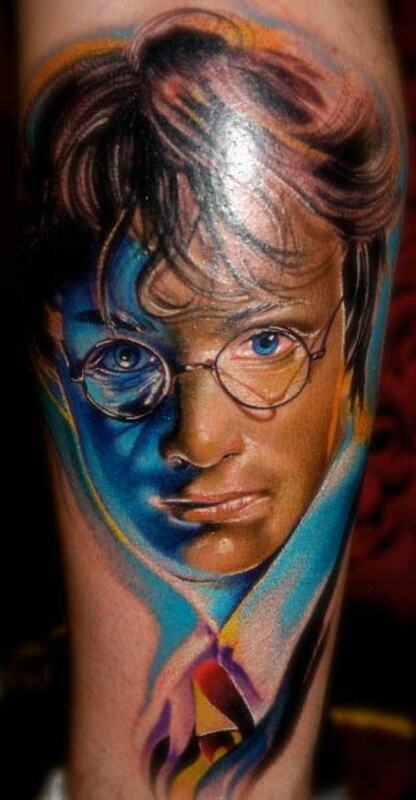 The carefully placed color adds dimension to the tattoo and draws the eyes in. 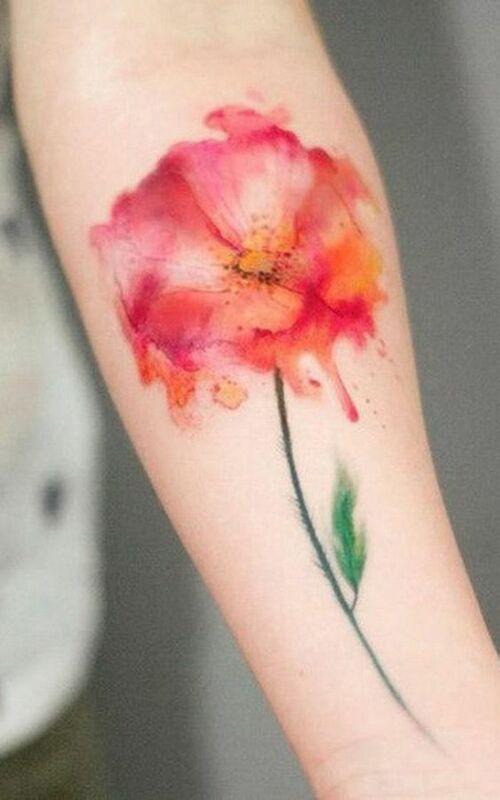 Pastel and watercolor tattoos are so beautiful! 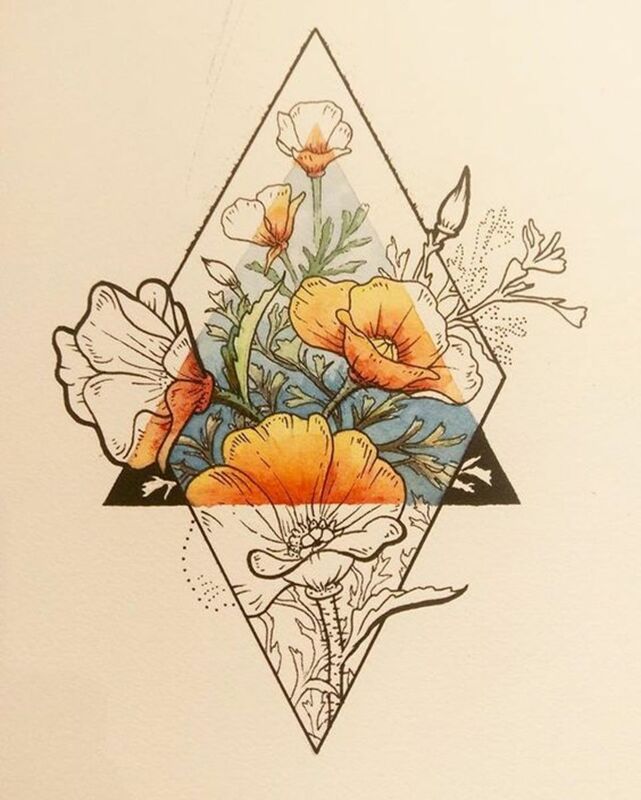 Artists can get extremely creative with their water color designs. From a wispy tulip to a bold dahlia; the possibilities are endless! Why not play with negative space? 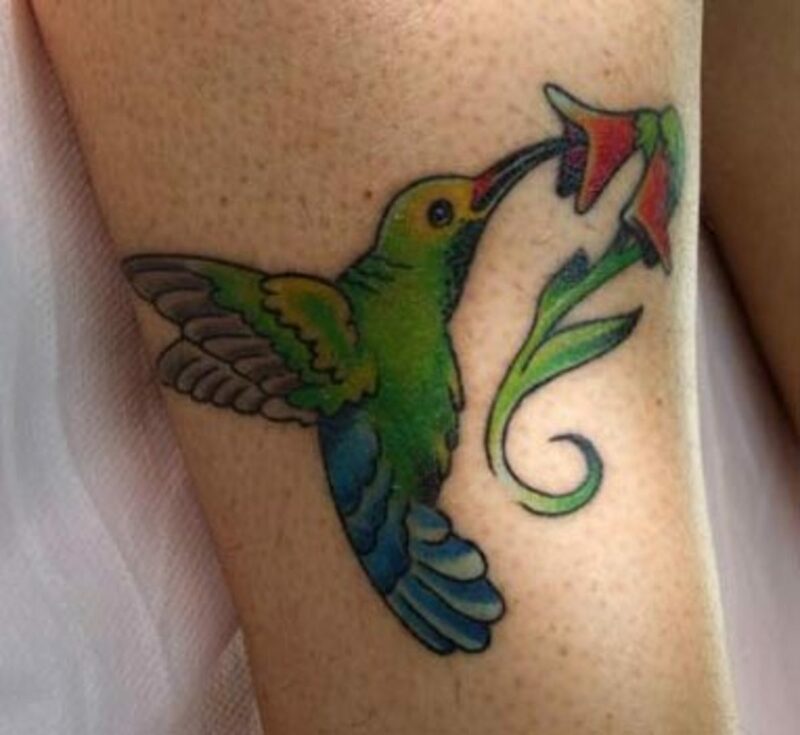 It may be a bit extreme for a first tattoo, but, if you're looking for a simple, yet elegant statement piece, this may be the perfect option! 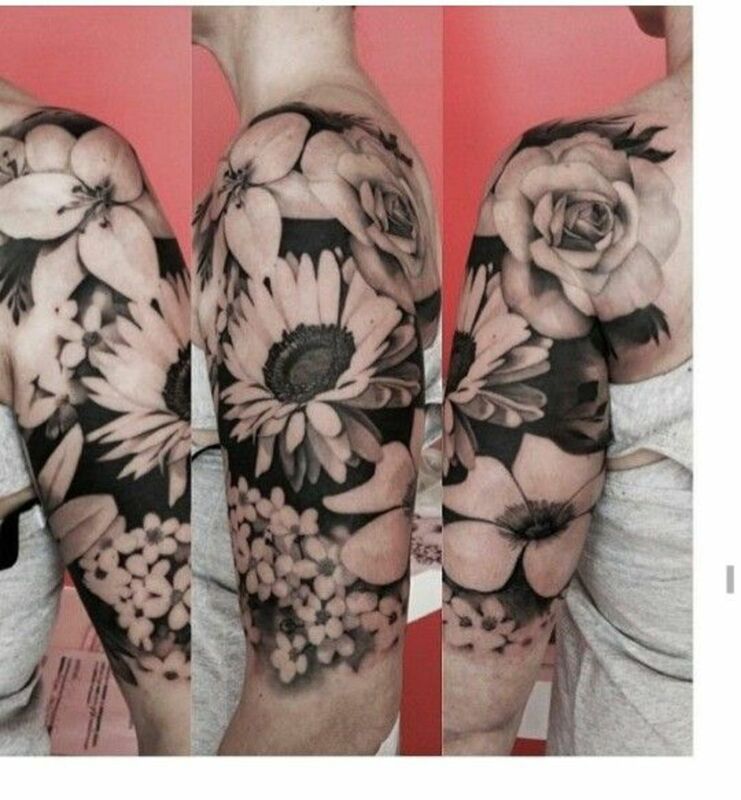 It's a great alternative to a more traditional half sleeve.